Barriers to Loving is an intriguing exploration of the role of sexual love over the course of life. 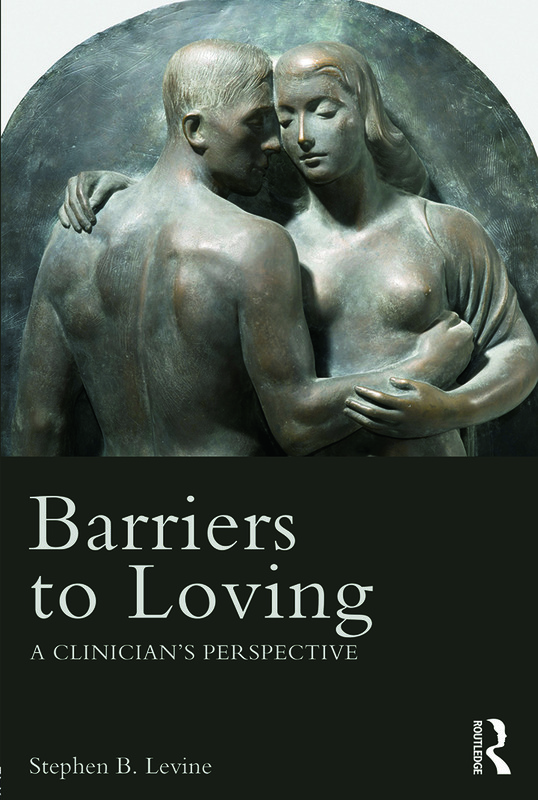 Beginning with the mental health professions’ avoidance of the topic, Levine proposes a compendium of love’s pathologies by reorganizing what is familiar to clinicians into the barriers that limit the formation of adult-adult love, impediments that diminish a partner’s lovability, and the impediments to feeling and expressing love for a partner. Before reviewing scientific contributions to the understanding of love, he explores the topics of sexual excess and infidelity and how they relate to the aspiration to love and be loved. The final two chapters synthesize with clarity what to teach about love to young professionals in order to prepare them for the complexities they will soon encounter and provide a sophisticated answer to the question, What is love? Barriers to Loving integrates humanism, science, and clinical experience in Levine’s long-appreciated unique and mature voice.